The Dainese Enduro knee guards feature a complex hybrid construction that mix together the extra mobility and breathability of the nature-inspired Pro-Armor with the high durability and impact resistance of the ABS technology. Front ABS rigid plates keep the kneecap and the higher shinbone safe in case of violent collisions. Side crash absorb pads protect in the event of sliding and impacts on the bike chassis. Thanks to pre-curved construction, airnet-elastic reinforced sock and breathable jersey hole, comfort is superior, in every riding condition. 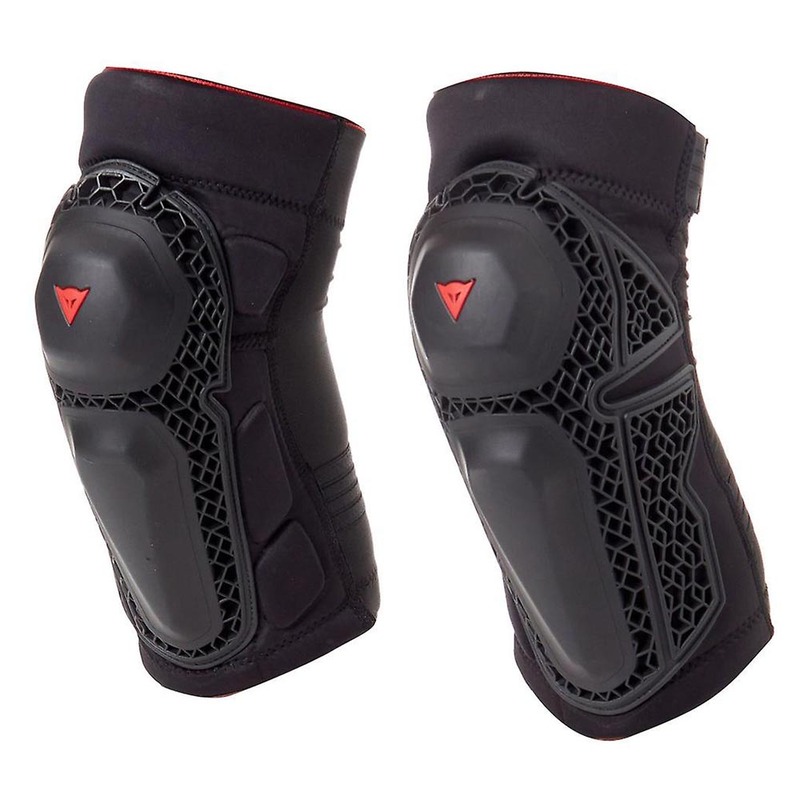 The engineered construction is conceived to cover specific areas of the knee bones like the kneecap and the shinbone, while the extended Pro-Armor construction provides great coverage to cartilages in case of sliding falls. An extra protection is offered by the three Crash Absorb pads on the inner section, that avoid bumps with the frame and other possible injuries. The Dainese Enduro knee guard is developed around the shape of the knee, to provide the rider with extreme freedom of movement while pedaling and maximum comfort even after several km of aggressive riding. The choice of those who are always looking for impossible lines to be drawn. Now you can, safely.